If R9C9 is a 5, then R2C9 must be a 4, R4C9 must be a 3, R4C2 must be 5, R4C5 must be a 4, R1C5 must be a 5, R1C8 must be a 4, R2C9 must be a 5 and R9C9 must be a 3. This is a contradiction, so the initial 5 was wrong and R9C9 must be a 3. First (leftmost) column. You have a Triple: 1, 3 and 5. That triple exists in the top left and bottom left group. This means you can strike the potential 3 and 5 in the middle left group. Deadly Pattern of 1's and 3's. These are in the top left group, and bottom left group. 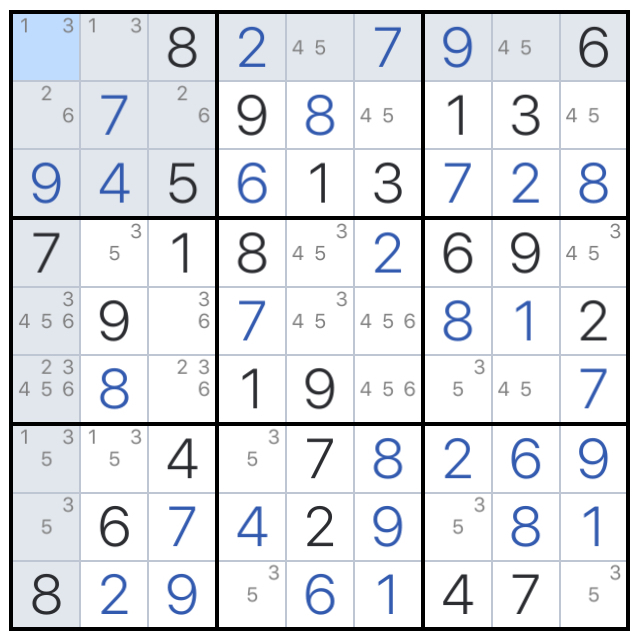 The only odd square out is the one that contains a 5. 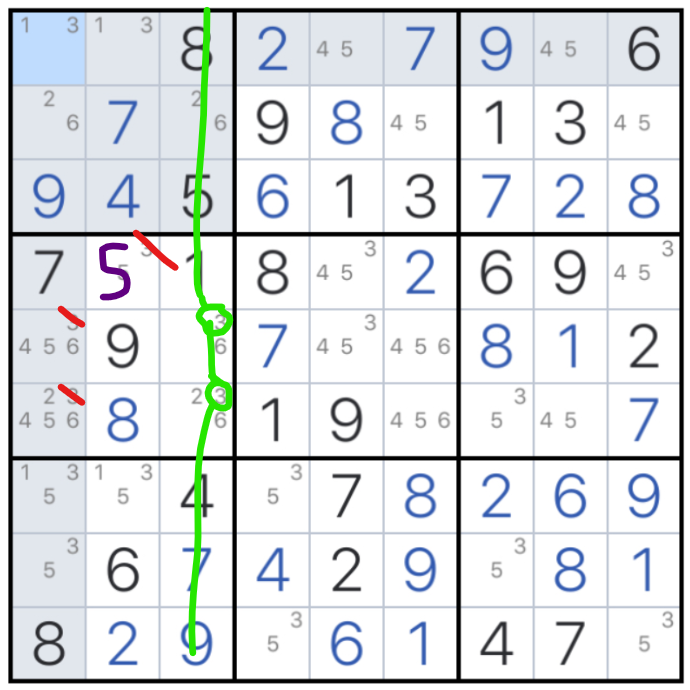 You must write that 5 or you have a dual solution to the puzzle. 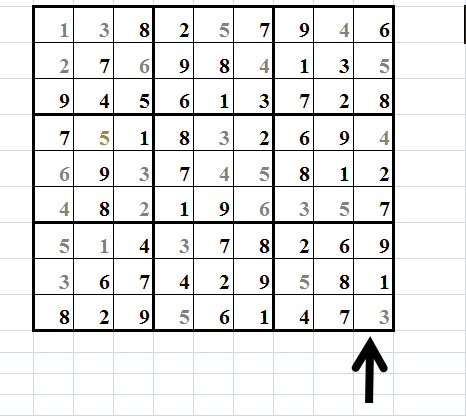 After you write that 5, everything else solves itself trivially.